We’d love your help. Let us know what’s wrong with this preview of The Devil in the White City by Erik Larson. ONE MAN BUILT A HEAVEN ON EARTH. ANOTHER BUILT HELL BESIDE IT. The architect was Daniel H. Burnham. He created the 'White City', a massive, vision CHICAGO, 1893. The architect was Daniel H. Burnham. He created the 'White City', a massive, visionary landscape of white buildings set in an incandescent wonderland of canals and gardens. The killer was H. H. Holmes, a handsome doctor with intense blue eyes, who used the attraction of the great fair - and his own devilish charms - to lure scores, perhaps hundreds, of young women to their deaths. And while Burnham overcame politics, infighting, personality clashes and Chicago's infamous weather to transform the swamps of Jackson Park into the greatest show on Earth, Holmes built his own edifice. He called it the World's Fair Hotel. In reality it was a torture palace, a gas chamber, a crematorium. To ask other readers questions about The Devil in the White City, please sign up. Is there a proper name for a novelization of a historical events? I'm sure there is, I just don't know it. I'm only just starting this one, and I'm loving it! Aishuu It's often called "narrative nonfiction." Is the book suitable for 14 year olds nd are there any young people here who could give feedback? This book is two, two, two books in one! Sorry, that was annoying. But it’s almost as if Erik Larson wrote two really short books—one about the 1893 World’s Columbian Exposition and another about the murder spree of Dr. H. H. Holmes—and then shoved them together to create a single story. The result isn’t bad, and I think Larson is successful at maintaining clean seams between the two narratives, but it’s hard to argue these two occurrences are anything but abstractedly related. Yes, Holmes lived This book is two, two, two books in one! Sorry, that was annoying. But it’s almost as if Erik Larson wrote two really short books—one about the 1893 World’s Columbian Exposition and another about the murder spree of Dr. H. H. Holmes—and then shoved them together to create a single story. The result isn’t bad, and I think Larson is successful at maintaining clean seams between the two narratives, but it’s hard to argue these two occurrences are anything but abstractedly related. Yes, Holmes lived in Chicago at the time of the fair and lured a bunch of people to his murder castle (he be snatchin’ yo’ people up! ), but the events didn’t weigh heavily on the fair itself or on the atmosphere surrounding it. No alarm bells went off anywhere in Chicago as a result of his, um, unsavory indiscretions. Still, there is a lot of interesting stuff here, information specific to the world’s fair, and it is fun to learn new things. 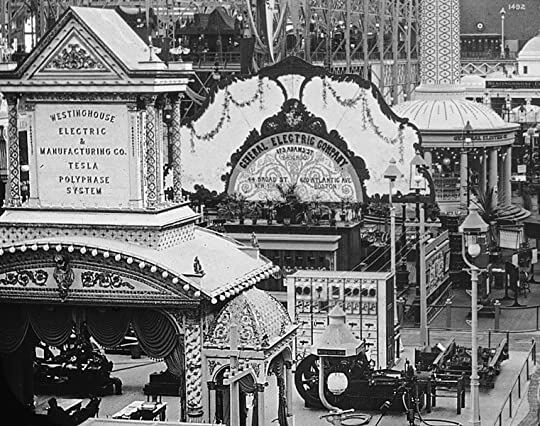 For example, the Chicago Columbian Exposition exudes a long list of firsts: it saw the invention of the world’s first ferris wheel, it led the nation in its first public observance of the Pledge of Allegiance, and it helped to establish alternating current as the industry standard for electricity distribution. Even that awful snake charmer song has its origins in the Chicago World’s Fair. He wanted to write an extensive, in-depth look at the 1893 World's Fair, which was a collaboration of some of the greatest creative minds in the country (including the guy who designed the Flatiron building in New York and Walt Disney's dad) and gave us, among other things, the Ferris Wheel, the zipper, shredded wheat, and Columbus Day. The entire venture was almost a disaster, with delays, petty fighting, bad weather, and more delays, but it was ultimately a massive success and Poor Erik Larson. He wanted to write an extensive, in-depth look at the 1893 World's Fair, which was a collaboration of some of the greatest creative minds in the country (including the guy who designed the Flatiron building in New York and Walt Disney's dad) and gave us, among other things, the Ferris Wheel, the zipper, shredded wheat, and Columbus Day. The entire venture was almost a disaster, with delays, petty fighting, bad weather, and more delays, but it was ultimately a massive success and helped make the city of Chicago what it is today. Editor: "Wait, serial killer? And it's connected to the fair? Cool, let's try to include that in the book. Also the crazy assassin sounds good, too." Larson: "No, the killer - H.H. Holmes - really wasn't connected to the fair at all. I mean, he used the fair as a way to collect victims, but he would have killed tons of people even without it. In fact, after the fair he moved on and kept murdering people, so the fair really didn't have any effect on his methods..."
Editor: "Doesn't matter! How about you alternate between chapters about the fair and chapters about Holmes killing people?" Larson: "But I don't really know much about that. Nobody does - Holmes never admitted to killing all those people, even after the police found human remains in his basement. I don't really know any actual details about the killings." Editor: "That's okay, you can just make it up. I'll give you some trashy crime novels to read, that'll give you some ideas. Now tell me more about the assassination." Larson: "He was just some mentally unbalanced person who thought he deserved a position in the mayor's office and shot the guy when he realized it wasn't going to happen. But the death cast a pall over the entire closing ceremony of the fair, and it - "
Editor: "Good, let's sprinkle in some bits about the crazy guy throughout the book, too. Now, back to Holmes: did he maybe kill somebody at the fair, or did they find a body on the grounds or something?" Larson: "No, the Chicago police didn't even notice anything was happening. It wasn't until he left Chicago that a detective from another state tracked him down." Editor: "Okay, so we'll make the end of the book about the manhunt for Holmes and his capture." Larson: "What does any of this have to do with the World's Fair?" Editor: "Hell if I know. You're the writer, not me - you figure it out. Here's a check. Now go make me a bestseller!" Nicole Rando Well done. That’s exactly how this book reads. 1893 was a year to remember - the World's Fair came to Chicago and H. H. Holmes (one of America's most famous serial killers) took full advantage. He stalked the streets and murdered whomever he pleased. This reads like two separate books thrown together at inopportune moments - as soon one half got the least bit exciting, we'd swap. It was frustrating and ultimately exasperating to read. The World Fair section was interesting in its own right, but it paled so much in comparison to the serial killer that it became something to slog through. For the World's Fair - we see the entirety of its creation and eventual destruction. Ample page space was given to dissecting every. single. mind-numbing. detail. Then, once I nodded off between 2-3 times, we'd jump to the insane murderer. But, there was a huge disconnect regarding page space. The longer the book went on, the shorter those H. H. Holmes sections would be - towards the end, we'd only get we'd get 1 to 10 pages from H. H. Holmes' perspective for every couple chapters of building plans. Fabulous. The two main stories weren't entirely separate - they did tangentially intersect - notably H. H. Holmes managed to lure so many people into his hotel because of the fair and he did take one of his victims to the fair but those connections did not seem strong enough for a joint book. While I appreciate the time and effort it took to research such a complete account of 1893, I had a hard time enjoying the novel. It felt like more of a mess than anything. Humour me and please allow the channeling an eighth grader for just a moment. OMG Squeee! !1 Teh best!! (Would an eighth grader say "teh best"?) And now we return you to our regularly scheduled review. I'm not a huge fan of non-fiction. Scratch that. I'm a huge fan of non-fiction, but not so huge a fan of reading non-fiction. While I appreciate learning and broadening my understanding of the world around and as it once was, I find myself pretty quickly distracted from whatever non-fictional work I Humour me and please allow the channeling an eighth grader for just a moment. OMG Squeee! !1 Teh best!! (Would an eighth grader say "teh best"?) And now we return you to our regularly scheduled review. I'm not a huge fan of non-fiction. Scratch that. I'm a huge fan of non-fiction, but not so huge a fan of reading non-fiction. While I appreciate learning and broadening my understanding of the world around and as it once was, I find myself pretty quickly distracted from whatever non-fictional work I pick up. The fact is: most writers of non-fiction are more experts in their field of study than they are expert authors. They deliver the goods well, but aren't quite as adept at prettying them up for consumption. Erik Larson, however, is a genius. Or something. I could not put this book down. (In the figurative sense—it actually took me about two weeks to read.) The entire length of my time in this book was marked with moments of in which I would stop reading, interrupt my wife from the depths of her studies, and remark again how good this book was. 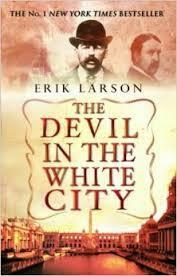 In The Devil in the White City, Larson chronicles chiefly a tale of two city-dwellers. Architect, Daniel Burnham and pharmacist, Henry Holmes. One would helm the creation of a wonderland of awe-striking beauty and refinement. The other would become one of America's earliest and most diabolical serial killers. All this against the backdrop of the 1893 World's Columbian Exposition (a.k.a. the Chicago World's Fair). Daniel Burnham, the self-made architect, who designed the Rookery in Chicago would design the Flatiron Building in New York, assembled a team of the best American architects of the day for the task of crafting a World's Fair in Chicago that would be even more exquisite than the one held in Paris years earlier. The Paris Exposition had also unveiled Gustave Eiffel's incredible tower, so Burnham put a call out to American engineering: something grander would have to be proposed and built. National reputation was at stake as well as civic pride. Larson explores in exciting detail the glories and the tragedies of this great endeavor. In contrast to this paean to human ingenuity and spirit, Larson focuses the other half of his narrative on a man as diligent in his chosen task as Burnham was in his. H.H. Holmes, the self-style pharmacist, who killed upwards of twenty-seven (mostly young women, fresh to the city), built for himself a hideous parody of the grand buildings that the world would soon celebrate. Bit by bit, he crafted what would later be known as his murder castle, a hotel whose ground floor hosted several businesses and whose other floors would boast far more sinister use. The second and third floors contained numerous rooms and hallways and secret compartments and switches. Airtight rooms with gas outlets. Walk-in vaults purpose not for keeping out but for keeping in. And a slicked chute to the basement where a kiln, acid, and limepits awaited. Holmes was handsome and charming in a way that made him irresistible to women. He was also a psychopath who would turn the American attention far too late. Larson, as a chronicler, is top notch. He entertains even as he educates. And he leaves just enough narrative tension to compel the reader along his path. Larson knows how to keep enough information back to avoid rendering the latter half of his book naught but excruciating anti-climax. The Devil in the White City is certainly an accomplishment and I wouldn't hesitate to recommend it to anyone. If forced to, I will admit* two quibbles with the book: 1) I was thirsty for more pictures and wanted desperately to see these buildings that Burnham and company were so busied upon; and 2) on the whole Larson keeps his voice clean of any emotive spots not merited by the characters themselves, but there were two moments when I was sure I was hearing Larson's voice beam through (it could have been worse—at least those two moments were funny). So, no offense to those that liked this book, but I'm throwing in the towel after 75 pages. It's just not holding my interest. Part of the reason for this is that Larson's writing style is way too speculative for my taste in non-fiction. I just finished reading the Path Between Seas by David McCullough, and he does such an amazing job of making complicated, historical events interesting, without fabricating scenes that "could have" happened. Even that wouldn't have bothered me that much if Lars So, no offense to those that liked this book, but I'm throwing in the towel after 75 pages. It's just not holding my interest. Part of the reason for this is that Larson's writing style is way too speculative for my taste in non-fiction. I just finished reading the Path Between Seas by David McCullough, and he does such an amazing job of making complicated, historical events interesting, without fabricating scenes that "could have" happened. Even that wouldn't have bothered me that much if Larson had said something more like, "It's likely he did this, since we know this about his personality" or whatever, rather than "He reached out and touched her hand as he spoke to her." There was no clear distinction between what definitely happened, and what maybe could have happened. That got bothersome. I could have just ignored the non-fiction aspect and enjoyed the story, if not for Larson's habit of getting bogged down in inconsequential details. He seemed to throw facts (or conjectured facts) in whenever the fancy struck him, rather than keeping the story moving. And finally, I got annoyed with the jumping back and forth between Holmes's story and the architecture/Worlds Fair story. Just when I'd get into one, we'd switch to the other. He could have done a better job of interweaving those. If you were to ask me my favorite thing about this book, I would immediately answer, "Erik Larson's writing style!" This book is mostly talked about for the portions pertaining to one of America's first serial killers, Dr. H. H. Holmes. In fact, when the greenlit movie adaptation by Martin Scorsese was recently announced, it focused primarily on the casting of Holmes. Yet, more time is spent in the book detailing the history of the 1893 World's Fair, particularly architect Daniel Burnham's struggles in trying to get everything finished in time for the Fair's opening. I'm actually not much of a history buff, so I feared the "true crimeless" segments of the book wouldn't hold my interest, but I'm happy to announce that I was wrong. Larson's wit made even some of the dryer parts of the novel entertaining, and he even manages to build suspense when he's raising questions we may already know the answer to, like what engineering marvel would the Fair's organizer's decide on to hopefully rival the Eiffel Tower unveiled at France's world fair? As for the segments detailing Dr. H. H. Holmes and his grotesque crimes, this is where Larson's writing really shines. Instead of treating this strictly as a historical account ("and then this happened, and then this happened...), Larson actually writes these moments in the style of a thriller. He gets into Holmes head with the same prowess that Thomas Harris used to make Hannibal Lecter continue to chill our bones long after we had put the book down. There were times I almost forgot I was even reading a nonfiction book, as in these moments Larson's novel read more like something we'd expect to find in the horror section. Which is why if you were to ask me what my least-favorite thing about this book was, I would immediately answer, "Erik Larson's writing style!" Bet you didn't see that coming, eh? That was a twist right out of an M. Night Shyamalan movie! While Larson's writing during the Holmes segments was undeniably gripping, I felt he went a little overboard with his speculative approach. He describes what was going through the victims' heads moments before Holmes murdered them, things Larson has no way of knowing were actually true. This did take me out of the book quite a few times, as when I'm reading nonfiction and the author keeps adding details that can't actually be confirmed, it make me begin to wonder how true this true crime novel really is! I did enjoy reading "Devil in the White City", although I would say it's more a book for history enthusiasts than true crime fans, as the 1893 World's Fair is clearly the novel's main event, while Dr. Holmes is more of a sideshow freak. Whether you're here for the Fair or the murder castle, Erik Larson's skills as a writer makes this an interesting read, as long as you don't mind getting some chocolate in your peanut butter speculative fiction in your true crime. A fascinating book and an easy read. Chapter by chapter, in simple chronological order, the author juxtaposes preparations for the 1893 Chicago World’s Fair with the doings of one of the country’s first serial murders. From the Fair’s chapters we learned how Chicago’s boosterism won it the fair from other competitors including Washington and New York. Construction was last-minute and in panic mode, but it got done. There’s a lot about Frederick Law Olmstead who was in charge of park design but h A fascinating book and an easy read. Chapter by chapter, in simple chronological order, the author juxtaposes preparations for the 1893 Chicago World’s Fair with the doings of one of the country’s first serial murders. From the Fair’s chapters we learned how Chicago’s boosterism won it the fair from other competitors including Washington and New York. Construction was last-minute and in panic mode, but it got done. There’s a lot about Frederick Law Olmstead who was in charge of park design but he was elderly, in poor health, and struggling to stay on top of the project. A lot of the focus is on the lead architect and fair planner, Daniel Burnham, and construction of the “White City,” as the classical buildings came to be known. The serial killer was H. H. Holmes, a pharmacist who capitalized on the World’s Fair by building a hotel. It had special rooms in the basement to kill his victims and dispose of their bodies in a gas oven. Mostly his victims were young women but he was an equal opportunity killer, murdering some men and children as well – at least 20 victims but maybe many more. The author spares us most of the gory details. Once you get into it, it’s hard to believe this story is NON-fiction as the author insists on telling us, but all the events really are from diaries, letters, newspapers and police reports. Fascinating, with a lot of local color of the Windy City in that era. Larson could be the worst nonfiction writer working in America today. When he notes that "[Frederick Law] Olmsted was no literary stylist. Sentences wandered through the report like morning glory through the pickets of a fence" he might as well be describing himself. It's painful to make your way through his books. The melodrama is over the top. He'll go on for several pages about some unnamed person, attempting to heighten the "mystery," and anyone who graduated second grade will quickly realiz Larson could be the worst nonfiction writer working in America today. When he notes that "[Frederick Law] Olmsted was no literary stylist. Sentences wandered through the report like morning glory through the pickets of a fence" he might as well be describing himself. It's painful to make your way through his books. The melodrama is over the top. He'll go on for several pages about some unnamed person, attempting to heighten the "mystery," and anyone who graduated second grade will quickly realize he's talking about the inventor of the Ferris Wheel. But only several chapters later - in the manner of Nancy Drew abruptly tumbling to the bottom of a dark well - he'll have the mystery man dramatically sign his name to a letter: George Washington Gale Ferris. George Washington Gale Ferris !!!!!!!! I did not see that coming. in 1893, chicago took the world by storm when it hosted the world fair and created the marvel that was ‘the white city.’ and the man behind it all was architect, daniel burnham. not far down the street from the fair grounds, there was another man by the name of dr. henry holmes who took advantage of those visiting the city by luring women to his hotel and killing them. he is considered americas first serial killer. so what do these two men have in common? other than being in the same city at the in 1893, chicago took the world by storm when it hosted the world fair and created the marvel that was ‘the white city.’ and the man behind it all was architect, daniel burnham. not far down the street from the fair grounds, there was another man by the name of dr. henry holmes who took advantage of those visiting the city by luring women to his hotel and killing them. he is considered americas first serial killer. so what do these two men have in common? other than being in the same city at the same time, absolutely nothing. although this book will try to convince you otherwise. 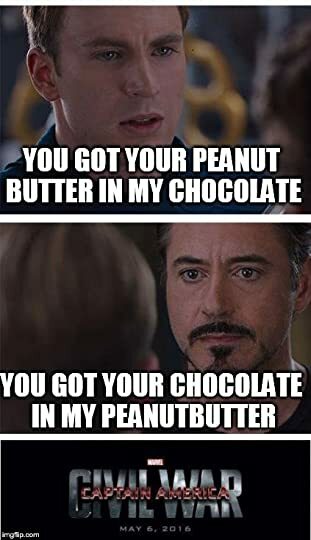 there honestly isnt anything connecting the two, so i am confused as to why there is so much focus on them both in this. i can understand a book about the history and creation of the chicago world fair, and i also get writing a book about the crimes of dr. holmes, but putting the two together did not make any sense to me. while reading about the building and design of the fair was interesting, its very dense compared to how holmes’ story is written. its almost like an information overload compared to the true crime chapters surrounding dr. holmes (which is what i was more interested in). it almost felt like the murders of dr. homes were just a fun little fact that was sprinkled throughout a history book about the 1893 world fair. so i think the synopsis and title are a little misleading with regard to the focus of this story. overall, this is quite an educational book. its not quite as entertaining as i thought it would be, but very informative nonetheless. the gilded age and importance of the world fair isnt something i knew much about, so it was neat to learn about it. although, i might try to find another book about dr. holmes, as this didnt quite satisfy my interest in him. Heard the one about the architect and the serial killer? It's not a bad joke, but it is a great book. The architect was Daniel Burnham, the driving force behind the Chicago World's Fair of 1893; the killer was H.H. Holmes, a Svengali-type figure who lured young women to his hotel and did the most gruesome things, the least shocking of which was murder. The two men never met, but The Devil in the White City brings their stories together, and although it reads like a novel, everything is thoroughl Heard the one about the architect and the serial killer? It's not a bad joke, but it is a great book. The architect was Daniel Burnham, the driving force behind the Chicago World's Fair of 1893; the killer was H.H. Holmes, a Svengali-type figure who lured young women to his hotel and did the most gruesome things, the least shocking of which was murder. The two men never met, but The Devil in the White City brings their stories together, and although it reads like a novel, everything is thoroughly researched fact. The Great Columbian Exhibition of 1893 was Chicago's big chance to shake off its old image as a hog-slaughtering, dirty and dangerous town and to take its place as America's second city. Although the fair's theme gave a backward nod to the 400th anniversary of Columbus bumping into the Americas on his way to India, its vision was futuristic: for the first time, electric lighting, clean water, and planned green spaces could be experienced on a massive scale. Innovations - the Ferris Wheel, the hamburger, an elevated railway, Juicy Fruit gum, the zip fastener and shredded wheat among them - enhanced the feeling that the next century would belong to America. The buildings were monumental, the exhibits eclectic (one example: a map of the USA made entirely of pickles) and the visitors were awestruck. They called it the White City, from the colour of main buildings that were imposing by day, dazzling by night. Much of this was down to Daniel Burnham. His can-do reputation for building skyscrapers made him a natural choice as project manager. But we're frequently reminded that he had to push himself to the limit and step on quite few toes to ensure the Fair's success, a job made all the more difficult by economic recession, bickering architects, striking workers, pompous politicians and Chicago's notorious weather. As if all this weren't enough to occupy the reader, a parallel story takes us inside the grim world of H.H. Holmes. Capitalising on the advent of the Fair, Holmes built his own hotel to attract single young women who were streaming into the city from across America in search of work, independence and a new life in the big city. One such unfortunate believed she was on the threshold of marriage to this enchanting gentleman; in reality, she was destined for a gas chamber in the hotel basement. She was not to be the last to fall for his charms, but even in death there was no rest. Holmes literally picked over the bones of his victims, selling their remains to medical students eager to examine recently deceased corpses - no questions asked. At first, the benefit for Holmes was financial, but as time passed, the chase, the kill, the post mortem had become ends in themselves. A single-minded detective and a stroke of luck brought Holmes to justice, but even when he realised the game was up, he managed to keep his unsettling cool. I had a strong feeling that I would take to this book, and from start to finish I was never disappointed. It fairly zings along, both stories proving absorbing, while casting out facts like frisbees. Although Burnham and Holmes are the book's dominant characters, there are walk-on parts for numerous figures who made their own mark on the White City. Buffalo Bill, Thomas Edison, and Scott Joplin are among the famous names, and the description of George Ferris's efforts to debut his eponymous wheel is a story in itself. But the lesser-known characters are also worthy of note. I pitied poor Frederick Olmsted's attempts to landscape the exhibition in the midst of an enormous, muddy construction site and a fit of depression. But I can see how ahead of his time he really was, insisting on natural greenery instead of a regimented collection of flower beds. Then there was Patrick Prendergast, whose descent into madness was to have a shocking impact on the Fair's final days; it's here that Larson's descriptive powers really come into their own. be found in our own times. But my lasting impression from this book is one of optimism, of Burnham straining every nerve and sinew to achieve the impossible, and the ordinary folk of Chicago bursting with pride at what had been achieved. The U.S. edition of the book has the subtitle "the fair that changed America" - and that's certainly true, right down to the Pledge of Allegiance which can trace its origins to the exhibition's opening day. Beyond that, the Chicago Fair of 1893 not only showed America how it could be, but how it would be - better living and working conditions, convenience foods, domestic appliances, gadgets and more time for fun. In short, it heralded the prospect of a decent day's pay for a full day's work, a clean, safe environment, and of course the God-given right to eat shredded wheat. I was genuinely excited to get back into this story every time I picked it up. At times, this jumble of factual events felt like a tale I would contrive while wandering aimlessly around Wikipedia (even though Erik Larson says he did not get information from the internet because, apparently all, data found on the internet is questionable). Most of the dramatic facts this book will tell you show up near the top of the internet, and many are proclaimed at a bars when someone lets everyone know wher I was genuinely excited to get back into this story every time I picked it up. At times, this jumble of factual events felt like a tale I would contrive while wandering aimlessly around Wikipedia (even though Erik Larson says he did not get information from the internet because, apparently all, data found on the internet is questionable). The best story and the reason why I wanted more was the story of Holmes, who murdered dozens while becoming America’s first serial killer. I didn’t really care for the ten plus pages describing where the fair would go and then what park in said city it would be in. Some of these details were distracting and took too long. As the reader, I just wanted to get to the gruesome parts. People like to say that non-fiction, “reads like fiction,” when they think it is good but that doesn’t make much sense to me. Books without dialogue generally feel to me like Wikipedia, and they're good when I am able to stay interested. This is really a great read filled with meticulously researched historical facts and notable people of the time. Even Helen Keller made an appearance at the 1893 Chicago World's Fair! Alternating chapters educate the reader about the enormous undertaking and time constraints of building "The White City" combined with the daily bloodthirsty activities of serial killer Herman Webster Mudgett aka Dr. H. H. Holmes. And this dude Dr. HHH.....Picture a young, handsome prosperous man with mesmerizing big blue eyes who is in fact an evil psychopath, sniveling cheat and conniving polygamist. This devil incarnate killed on a whim and caused turmoil in so many families with his slithering knack of preying on the weak and vulnerable; and while I wasn't too surprised at the naivety of the young women, the men falling for his sleazy schemes really shocked me. This work of non-fiction is jam-packed with interesting facts, faces and descriptive details that are too numerous to even begin to mention here, but now, whenever I see Cracker Jack, I'll sure remember where it originated. Note: Buddy-read with DayDreamer . Rating: one of the best books in my 2017 reading list' 20 sparkling stars: when you open this book, please be ready for the unimaginable from both the good and the evil! Be prepared to be seduced by the magic and wonders of the glorious Chicago's World Fair ( or the so-called 'White City') *and* the twisted, gruesome but intriguing Murder Castle! Let us all DREAM BIG together with Daniel Burnham and his merry band of American architects! Let follow them to go through all the dramatic twists and turns that created the World's Columbian Exposition/Chicago's World Fair! There are so many dramas you couldn't have imagined but actually took place during the construction of this massive event! Plus, meanwhile in London, Jack the Ripper! Still, I have to admit the parts of the book about the infamous H. H. Holmes is a bit flat compared with what had been written for Daniel Burnham and his merry band of architects, Holmes's tale reads like a dry true crime story. Don't get me wrong, Holmes' many deeds and his gruesome Murder Castle are still highly intriguing to read about, still I want more from his story even after I was finished with it. PS: and there seems to be a movie adaptation with Martin Scorsese and Leonardo DiCaprio in it! Isn't it wonderful? The Chicago World's Fair of 1893 was a remarkable achievement for the city of Chicago and it's architect Daniel H. Burnham and while the city was celebrating and enjoying this new wonder of the world, another man by the name of H.H. Holmes, a handsome and charming doctor was luring victims to their deaths and becoming America's first Serial Killer. This is the incredible true account of two very different men and the different paths their lives would lead them. This is my second Book by Eric Larson having read and loved Dead Wake: The Last Crossing of the Lusitania previously I was looking forward to another book by this author. His books are extremely well researched and very detailed and he leaves no stone unturned when telling a story. I loved learning about the Fair and the magnificent buildings, The World's first Ferris Wheel, Buffalo Bill’s Wild West show, electric boats, all the different elements that went into planning and organising such an amazing event. I loved how this book crossed over with numerous other books I had read about this time, (especially the quote from the notorious Chicago May who was born in Ireland only a few miles from my home and ended up becoming one of Chicago's most notorious Crooks of that time) I enjoyed the descriptions of families travelling long distances to the fair from small farms and towns and their amazement at witnessing these spectacular attractions and miracle of electricity for the first time. Eric Larson's descriptions are vivid and captivating and you actually imagine you are there at the centre of the city's excitement. Of course then you are brought back to reality with the murder and mayhem created by H.H Holmes and wonder how a man like this could have murdered so many innocent people and nobody noticed or suspected him. A word of warning The Devil is in the detail and Eric Larson book's are high on detail and facts which I loved but some may find a tad tedious as the story does drag slightly in places but the historical information and descriptions are excellent and I loved every minute spent with this book. Ohhhh, this book is creeeeeepy and all-true!!! Being from Chicago I was in an awful thrall the entire time. The only thing that was missing for me would have been some kind of map to show where exactly the Fair was located, and all the other buildings he talks about... I think the fair was probably located roughly on what the Museum Campus is now, but I still would like to see a map. And the people! Burnham and Root and Atwood... and Carter Henry Harrison! It says his mansion was on Ashland, I'm Ohhhh, this book is creeeeeepy and all-true!!! Being from Chicago I was in an awful thrall the entire time. The only thing that was missing for me would have been some kind of map to show where exactly the Fair was located, and all the other buildings he talks about... I think the fair was probably located roughly on what the Museum Campus is now, but I still would like to see a map. And the people! Burnham and Root and Atwood... and Carter Henry Harrison! It says his mansion was on Ashland, I'm wondering exactly where. And Mudgett... I wonder where all of his buildings were... it sends chills up my spine just to think about it. I wonder if anyone has put together a tourist's map based on this book? O.K., beyond my personal reasons for being fascinated, the writing is excellent, and really well documented. And the charming thing is that he documented everything in the back of the book in a really simple way, so if you were so inclined you would not have to be a big fancy scholar to follow his paper trail and see all of this stuff for yourself. Power to the people! And the writing style is accessible and the voice is also very appropriate... he kind of veers between eulogist and undertaker. And the few times that he takes liberties and describes things that no one could ever really possibly have documented, he does so in a way that is careful and responsible. And I think for him not to have taken the liberties would have been a mistake... I think everyone who read the book would have thought there was something missing. And what's ultimately really rewarding about this book is that the author outlines all the ways in which the influences of Fair of 1893 reverberated in American culture (and the world) for years afterward. Our aesthetic sensibility as a nation was permanently changed. And our technological sensibility. And to think that all of this was planned so fast, it was like a supernova in the middle of this underdeveloped backwater (oh, I said it. I live here now, and sometimes I still think of Chicago that way.). And that with all that progress comes this darkness, too, there's this underside to everything. The Devil in The White City is a fascinating study of the genius of two men and how they applied that genius. At first I was worried that the book would be too gory but most of the details are left to the imagination. However, the Fair is what captivated me. How these men managed to build such beauty and excitement with limited time, funds and a less than favorable location, is amazing. I live in Milwaukee, about a hour and a half from Chicago and I know this area well, that brought it home to me The Devil in The White City is a fascinating study of the genius of two men and how they applied that genius. At first I was worried that the book would be too gory but most of the details are left to the imagination. However, the Fair is what captivated me. How these men managed to build such beauty and excitement with limited time, funds and a less than favorable location, is amazing. I live in Milwaukee, about a hour and a half from Chicago and I know this area well, that brought it home to me a lot. The descriptive writing painted a picture of the dazzling buildings as well as the many famous visitors. 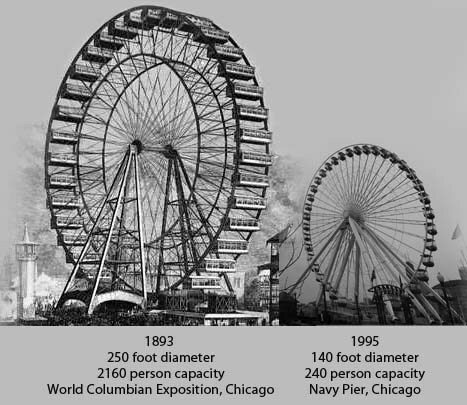 The Ferris Wheel was such an engineering feat that it's hard to believe that it all worked, sustaining the incredible weight of the cars and the people. The writing is absolutely superb and I could not put this book down. Afterward I spent many hours on the internet searching for photographs from the fair and was amazed to view it, it was even more spectacular than I had imagined. Strangely the Chicago Museum has very little on the Fair and the development of the Ferris Wheel. There was so much to learn from this book about this time period when Chicago struggled to prove itself and it did! As described in the book I'm sure it was depressing to see the fair end and go back to a regular life, particularly during those economically distressed time. The killings and plotting of H. Holmes were a tremendous shock to the 1800's society. I shiver to think how callous we have now become to such crimes. Cheryl This was an amazing book. Dorie - Traveling Sister :) Cheryl wrote: "This was an amazing book." This review has been hidden because it contains spoilers. To view it, click here. The White City is the Chicago Columbia Exposition, a world fair in which all the buildings were painted white; the time the late 1800s during the fair; the Devil is a serial killer. Yet this is a non-fiction book. Larson has written a very informative as well as entertaining story. 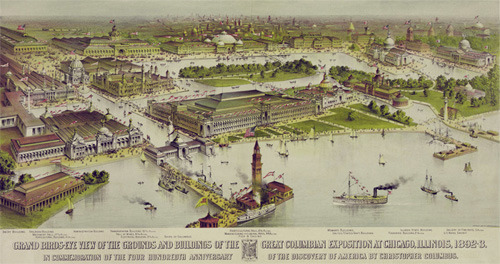 The Columbian Exposition was a very big deal. 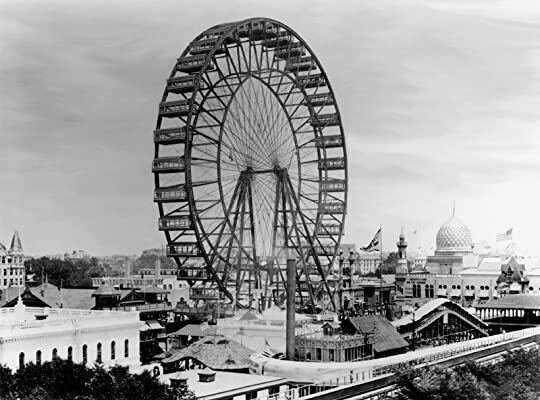 Chicago had vied for the honor of presenting a world’s fair, and when they were selected the energy of the famed slaughterhouse city was put to the wheel. There are many p The White City is the Chicago Columbia Exposition, a world fair in which all the buildings were painted white; the time the late 1800s during the fair; the Devil is a serial killer. Yet this is a non-fiction book. Larson has written a very informative as well as entertaining story. The Columbian Exposition was a very big deal. 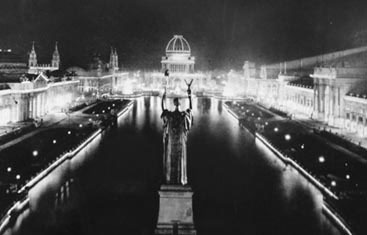 Chicago had vied for the honor of presenting a world’s fair, and when they were selected the energy of the famed slaughterhouse city was put to the wheel. There are many personalities involved, not least Daniel Burnham, one of the top architects of his day and the coordinator of the entire project design. He brought in Frederick Law Olmstead and many other top architects. Chicago was determined to outdo the French, whose world fair in Paris had been a triumph, introducing, among other things, the Eiffel Tower, and mass use of alternating current. Larson describes the conflicting and outlandish personalities of the time, and makes us marvel that the thing ever actually got done. The Chicago Exposition introduced some significant items of its own, not least of which was a very progressive notion of city planning, for the enterprise required attention to a multitude of facets simultaneously in order to come to fruition. One of the structures built was then the largest building in the world. The fair introduced Mister Ferris’ first working wheel. The Disney family attended and the fair may have inspired Walt to a development of his own. Buffalo Bill made millions with his entertainment just outside the fair gates (The fair had not allowed him to be a part of the show inside). Weather was a formidable opponent to the construction, as was the state of the economy, namely plummeting. Counterbalancing the travails and triumphs of creating the fair, the Devil of the title was a young man named Holmes (no, not Sherlock). He had a very winning way with people, particularly creditors and attractive young women. He had some flaws however. Among them was a complete inability to empathize with anyone. He was an extreme example of what we refer to today as a psychopath. He set up shop in Chicago about that time, acquired some property and constructed on it a building of his own design. It was called The Castle, and one might be forgiven for imagining it with lightning bolts blasting stormy skies. For it was here that he murdered untold numbers of people, women, men, children. He designed the building to incorporate a space in which he could trap and gas people. He also allowed for his need to incinerate the bodies without releasing much aroma. His charm kept the suspicious at bay. Eventually, of course, he was found out and brought to justice, but not until he had slain somewhere between 50 and 200 people. Larson peppers the book with dozens of satisfying factoids, about the people he is describing and about the times. It was, despite some of the darker subject matter, a very engaging, informative, and yes, fun read. I have been meaning to read this book since it was published and I finally got around to it 15 years later. The Devil in the White City combines two of my favorite subjects Serial Killers & Victorian America. I've read a lot of other reviews for this book and people seem to really hate the fact that this book isn't just about H.H.Holmes. A lot of the reviewers apparently never read the back of the book or they would have known that its a split biography. The Devil in the White City is obviou I have been meaning to read this book since it was published and I finally got around to it 15 years later. The Devil in the White City combines two of my favorite subjects Serial Killers & Victorian America. I've read a lot of other reviews for this book and people seem to really hate the fact that this book isn't just about H.H.Holmes. A lot of the reviewers apparently never read the back of the book or they would have known that its a split biography. 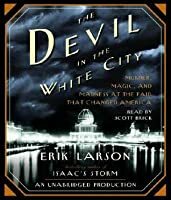 The Devil in the White City is obviously about H. H.Holmes but its also about the 1893 Worlds Fair which was held in Chicago. For me The Worlds Fair was the most fascinating part. Maybe that's because I went in knowing about Dr. Holmes but the fair was completely new to me. I had to fight the urge to Google people and places while I read because I really wanted more information. Here are a few things the 1893 Worlds Fair introduced:The Ferris Wheel, Pabst Blue Ribbon beer, Aunt Jemima boxed pancakes, and juicy fruit gum. For me this book lived up to the hype. Erik Larson paints a vivid and engrossing picture of the rise of Chicago and the first known American Serial Killer. If you enjoy books about True Crime or if you just enjoy a good History book then I highly recommend this book. This book captured my attention from page 1. I enjoyed reading about many of the influential people who made this great nation what it is today. I learned so much more than when I was a student. On the flip side, I was horrified by the murders committed by Holmes and how much of an evil character he was. The Devil in the White City is one of those enticing little books in which you know what you're going to get, yet you read it anyway, and it delivers all the salacious excitement you desired...you filthy degenerate, you! ...a doctor lured countless victims from the 27 million people who attended the fair into his "Murder Castle." His evasive trail is followed and his horrid deeds recorded, all intertwined with the oft The Devil in the White City is one of those enticing little books in which you know what you're going to get, yet you read it anyway, and it delivers all the salacious excitement you desired...you filthy degenerate, you! ...a doctor lured countless victims from the 27 million people who attended the fair into his "Murder Castle." His evasive trail is followed and his horrid deeds recorded, all intertwined with the often contentious development and creation of one of the most ambitious World's Fairs ever. The book is short. There isn't a wealth of information to relate, but Larson squeezes what he can out of it and in an admirable fashion, artfully revealing details and teasing out the tension. Not long after reading this, I went to Chicago for my first ever visit and a naive part of me hoped to find the World's Fair exhibits still up and running. A hundred years and more after the event, Chicago has moved on, but the fair grounds are still used for peculiar exhibitions and one of the original buildings is still in use as a museum, so it's possible to visit the site and daydream yourself back into the glorious wonderment, not to mention the horror, if you wish. Don't get me wrong. I enjoyed this book quite a bit. This was history made accessible but almost too accessible and readable to the detriment of depth and perhaps some additional analysis. This is a book that ties together (rather loosely) the development and execution of the Chicago World Fair in the 1890s and a sociopathic doctor serial-killer. The stories were not treated equally and at times the emphasis on the design and development of the architecture of the fair overshadowed the story of the doctor who was at times presented as an after-thought. To Mr. Larson's credit he took a wealth of information and presented it in an easily understandable style that read like a very long and pretty good Vanity Fair article. I, however, as a reader was not wholly satisfied and the two stories were not treated equally and sometimes the connections seemed rather loose and haphazard. This is a pretty famous book, but not one that's particularly been on my radar. But I was listening to my favorite podcast as of late, Lore, and there was an episode about this story, of the 1893 Chicago World's Fair and H. H. Holmes the murderer who used the venue to lure in vulnerable victims. It fascinated me, and it reminded me of this book I'd heard of. So I checked it out, and I'm SO glad I did. This is definitely one of my favorite reads of 2015. Now I know this book won't be for everyone. This is a pretty famous book, but not one that's particularly been on my radar. But I was listening to my favorite podcast as of late, Lore, and there was an episode about this story, of the 1893 Chicago World's Fair and H. H. Holmes the murderer who used the venue to lure in vulnerable victims. It fascinated me, and it reminded me of this book I'd heard of. So I checked it out, and I'm SO glad I did. This is definitely one of my favorite reads of 2015. Now I know this book won't be for everyone. If you don't find the politics behind and construction of the fair to be interesting, then you won't like virtually half of this book. But the historical aspects as well as the drama and intrigue behind the fair's regulations, development and questionable success was really fascinating. Plus there are so, so many things that we have today--inventions, historical figures, songs and other works of art--that came to fame from this fair. It's so interesting. And I almost felt the fair had more life, had been more fleshed out by the author, than the chapters revolving around Holmes' methods and murders. I took notes on my iphone to remind myself of 'gems' to 'share/write' about -- but there are 'at least' 2,000 'already' wonderful reviews --WELL DESERVING-- about this amazing TRUE STORY --I've not much more to add. The building of the Worlds Fair was fascinating ---(all the details -and the challenges were incredible, engaging-interesting, and exquisite! 'Holmes' --(the killer), was just CREEPY!!! For anyone who might question why I might give this a four-star rating rather than the six-star rating that its research deserves, it's because it's mostly a ton of facts, interesting or otherwise, and not quite the kind of coherent narrative a person might expect as a regular novel. That being said, it's really a fun and easy read that explores so much of what made the Chicago World's Fair in 1893 a real eye opener and imagination-sparker for pretty much all of America. As a side-note, or perhaps For anyone who might question why I might give this a four-star rating rather than the six-star rating that its research deserves, it's because it's mostly a ton of facts, interesting or otherwise, and not quite the kind of coherent narrative a person might expect as a regular novel. As a side-note, or perhaps a parallel-note, it focuses rather heavily on H. H. Holmes, serial murderer extreme who was the American equivalent of Jack the Ripper and contemporary of the same. We have two sides of the extreme going on here. Love and ambition and art and beauty running through the muck of the extremely dirty and bloated Chicago of the day, focusing on the nasty murderer for the shock value and the dark side of the mirror. I can't complain. It's both full of facts and a truly faithful description of the times, the players that made the Fair fantastic, as well as the failings, the madness, and the horror of its underside. It's the same coin with two sides. For that and the fact that this novel is overflowing with awesome history, I loved it. What is fiction is relatively minor compared to the fact that it's mostly real history! And frankly, I was kinda amazed at how many cool bits I did learn! My expectations were high for this book of popular history, but I wasn't disappointed. The Devil In The White City is an entertaining and informative look at Chicago’s 1893 World’s Fair, which despite many obstacles – lack of time and money, natural disasters, a bad economy, pressure to top Paris’s fair, which introduced the iconic Eiffel Tower – got completed and proceeded to make international headlines and change the country. Larson tells the stories of two self-made obsessives: Daniel Burnham, My expectations were high for this book of popular history, but I wasn't disappointed. Larson tells the stories of two self-made obsessives: Daniel Burnham, the fair’s chief architect who went on to design NYC’s Flatiron building, and Dr. H.H. Holmes, a handsome pharmacist/entrepreneur who lured impressionable young women (newly arrived for the fair and often on their own for the first time in their lives) to their grisly ends. At first Holmes’s serial killer narrative is more gripping than Burnham’s bureaucratic and administrative woes; the details are just too macabre. He built a place near the fair called The World’s Fair Hotel that had a unique design: it included a heavily sealed-off, soundproof room that could be piped with gas; another room where he could perform "surgeries"; and a huge oven where he could incinerate bodies. Always on the lookout for more cash (Larson details the man’s many swindles), he figured out a way to sell his victims’ skeletons to a nearby teaching facility. Gruesome. Larson, a former staff writer for The Wall Street Journal, has done impressive amounts of research. His “Notes and Sources” chapter is fascinating, especially when he explains how he pieced together scenes that no one witnessed. At times the detail is almost too much, as in the three complete dinner menus for fancy galas before and during the fair. The Holmes narrative is structured like a thriller. With each “Oh no he didn’t!” revelation, you keep wondering: “Will he be caught? Surely this can’t go on!” Larson doesn’t disappoint in telling his story, which even includes a period of time – very important in gathering evidence, as it turns out – that Holmes spent in my home town of Toronto! There are also many anecdotes sprinkled throughout the book involving famous people (Buffalo Bill Cody, Nikola Tesla, Annie Oakley, Theodore Dreiser) and products (Shredded Wheat, Aunt Jemima, Juicy Fruit, Pabst’s Blue Ribbon). Did you know the term “Windy City” has nothing to do with Chicago’s weather? At times the narrative is a little choppy, since Larson switches between Burnham and Holmes's tales. He also interweaves a less gripping story about a man named Patrick Prendergast, which unspools like a B or C plot until its conclusion. The Devil in the White City: Murder, Magic, and Madness at the Fair that Changed America would probably rate 4 Stars for most but for me it got 5 White Stars on a black background. It rated higher because it taught me something about my hometown, which played a critical role in the 1893 World Expo in Chicago. The story revolves around the heroic effort to win the event and then build it. Intertwined with the creation of the dream of the Expo is a dark tale of an evil serial killer, preying upon The Devil in the White City: Murder, Magic, and Madness at the Fair that Changed America would probably rate 4 Stars for most but for me it got 5 White Stars on a black background. It rated higher because it taught me something about my hometown, which played a critical role in the 1893 World Expo in Chicago. The story revolves around the heroic effort to win the event and then build it. Intertwined with the creation of the dream of the Expo is a dark tale of an evil serial killer, preying upon the innocence and gullibility of women and men of the age. “The White City” is the name given to the fairgrounds, a direct contrast to the Black City as Chicago was known in part, a rough town with an inferiority complex. Having just overtaken Philly as the second largest city in the US, Chicago wants and gets the right to host the Expo. The story of how this fair came to be successful could have been the entire story and a great one. What amazed me the most was how large these people dreamed and then made it happen. They fought through bad weather, bureaucracy, and politics to build an Expo that had to outdo the 1889 Paris Expo, which had featured the Eiffel Tower, a true masterpiece. I won’t spoil it and tell you what the Chicago group did but they did “out-Eiffel” the Parisians in the end. I’m positive you will be amazed at the nexus of so many people you will be familiar with. Connections abound but here are a few of the characters: Buffalo Bill, Annie Oakley, Edison, Disney, Frank Lloyd Wright, Teddy Roosevelt, competition to light the fair by Westinghouse (AC) or General Electric (DC), Clarence Darrow, Archduke Francis Ferdinand, Tesla, Cracker Jack, Shredded Wheat, kinetoscopes, and so much more. The sheer audacity of this event is breathtaking, these are the people who built America. The serial killer, H. H. Holmes, is the embodiment of evil, a Ted Bundy canvassing the hinterlands for naïve girls to bring to Chicago for his “use”. Larsen weaves a compelling and tense story of how this man created an environment where he could carry out his evil deeds and yet was never suspected until many had died at his hands. The 1893 Expo provided even more victims for his pursuit. Holmes operated with impunity as no one could imagine anything untoward had been done when various women “just left”. The death penalty exists for people like this guy, no other way to deal with him. It was a well-written counterpoint to the main story of the fair. I enjoyed Devil in the White City, particularly for the wealth of information (tons of great trivia!) in this novel-style nonfiction book. I probably would have appreciated it more, though, if I were from Chicago, a city planner or architect, or had a fascination with serial killers. What was by far the most irksome for me was Larson's insistence on foreshadowing absolutely every character introduction and happening in the book. Some are clever, but this "one day, he would make headlines"-style b I enjoyed Devil in the White City, particularly for the wealth of information (tons of great trivia!) in this novel-style nonfiction book. I probably would have appreciated it more, though, if I were from Chicago, a city planner or architect, or had a fascination with serial killers. What was by far the most irksome for me was Larson's insistence on foreshadowing absolutely every character introduction and happening in the book. Some are clever, but this "one day, he would make headlines"-style became tiresome for me, quickly. Beyond this style irritation, I was disappointed, in Larson's failure to ever unite the two main threads: those of the World's Fair (mostly its chief architect, Daniel Burnham) and "America's first serial killer," H.H. Holmes, who murdered dozens during the same period. They are each interesting, but aside from not seeing concrete ties between the stories, the reader is unsure of why Larson would pick these specific lives to parallel. Why not a madam operating in Chicago at the time? Why not a Zulu warrior brought to America as an exhibition piece? Etc.